One of the most popular events of the Pineapple Festival early years was looking for the SWEETEST kids living on the Treasure Coast and two of them would carry the title of Pineapple Festival Prince and Princess for one-year. The 2018 Pineapple Festival Prince and Princess contest will be held on Saturday, November 17 at 4pm at the Jensen Beach Community Center, 1912 NE Jensen Beach Boulevard. Contestants must be at least 6-years of age and no older than 9-years of age by November 1, 2018. Contestants must live in Martin or St. Lucie Counties. 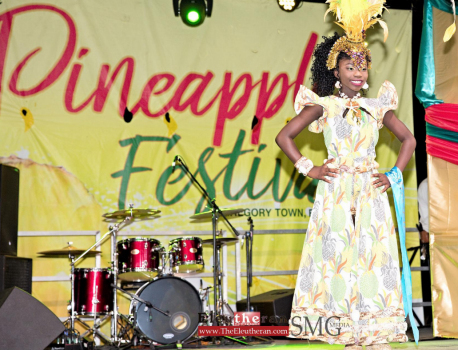 Contestants will be judged based on interview, poise, ability to speak publicly, and enthusiasm for serving as Pineapple Festival royalty. Boys and girls must wear formal attire. There will also be a prince and princess runner up. There is a non-refundable entry fee of $20 per child to be paid with registration. Please have entry postmarked no later than Friday, November 16, 2018. Contestant check-in will be held from 3:30pm until 4pm, Saturday, November 17 at the Jensen Beach Community Center. Contest and judging will begin at 4pm.